Thanksgiving Day is just a few days away and as this year is quickly coming to an end there's much to reflect on. For example, this blog has grown tremendously thanks to the support of a handful of consistent supporters (you know who you are) and I want to thank you and all the readers of this blog. You have made it a pleasure to keep coming back and sharing about design, illustration and the occasional sketch and work-in-progress. As a matter of fact, the sketch you see attached to this post is one I started work on last Friday after work. In a nutshell, it was a bad day. Much of the work at Salvatier Studios needs to be wrapped up before Christmas so you can imagine what it must be like. One particular client is becoming increasingly difficult and really took me to the limit. No matter who works on what here, I always deal with clients, and this person has a way of getting to me, but I always keep my cool. So the crazy cat sketch on the right is the result of that frustration. 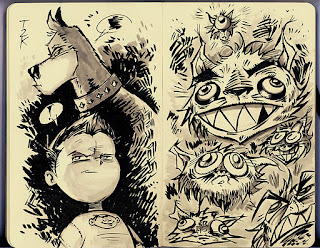 The following morning I worked on the sketch on the left, which stars my characters Artie and his Great Dane, Tornado. You can see I was in a much better mood. What I learned was how much I love to sketch. I know, crazy, right? I should be doing it everyday, but it can be difficult sometimes. This experience has reignited my passion for it and I'm going to keep doing it. 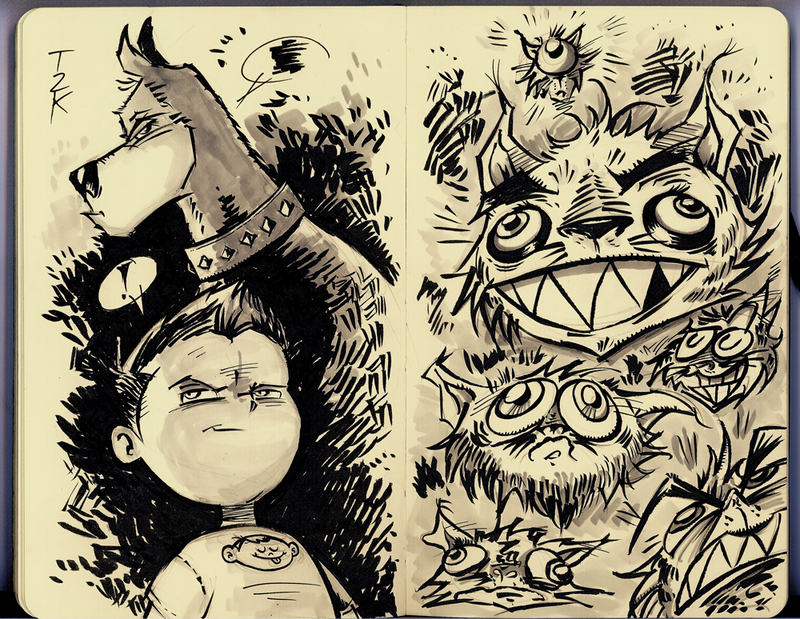 So you'll probably see more sketches here, and the new year will bring a new direction for this blog. I think I've about exhausted the how-to posts and just want to share my passion for design and illustration. So thank you all for your support, for the retweets, shares and pluses. You have made a difference in this designer's life.